Scientists were puzzled and amazed at the early morning find late last night. Diamond, a golden retriever, was found trapped within the icy depths of an iced berg. The dog sits upon a wheelchair, which has scientists baffled. 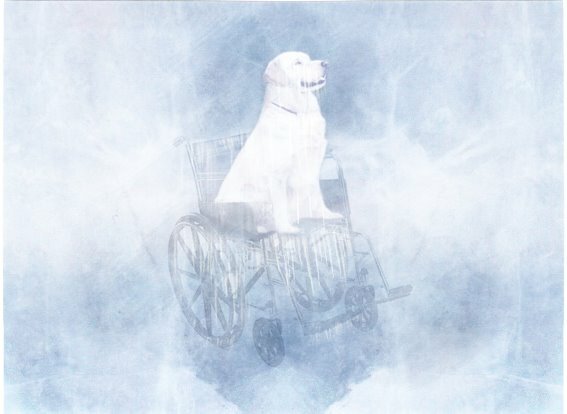 The iceberg dates from about 20 million years ago, so experts are pretty sure dogs invented wheelchairs. The iceberg was brought in by a group of dolphins, who saw the dog within the ice. They worked together to get him safely to a team of scientists as soon as they could.